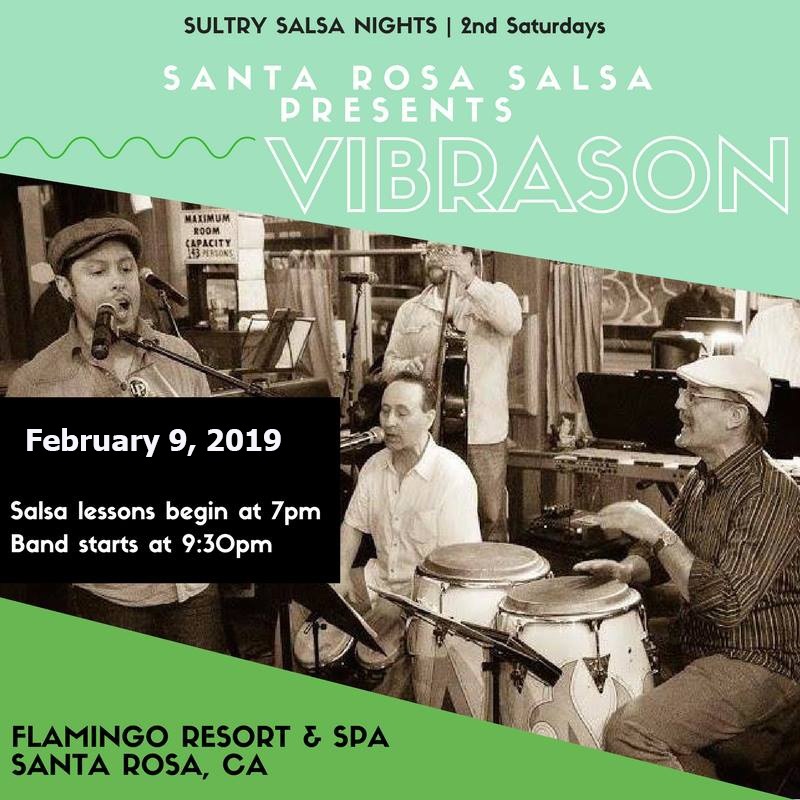 VibraSÓN, based in the San Francisco Bay Area, brings the hip sounds of the Latin vibraphone music and artists such as Joe Cuba, Jimmy Sabater, Cal Tjader and many more to contemporary audiences. 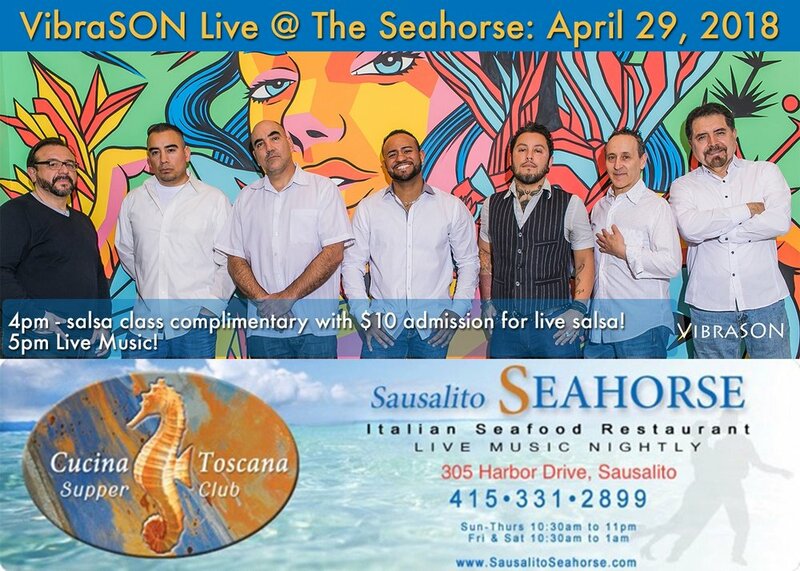 Populated with top Bay Area based musicians, VibraSÓN plays tight Latin and Salsa music with swing! VibraSÓN is a perfect choice for a swinging party, full-on Salsa club or anything in between. It's compact 7-man instrumentation mades it a fit all occasions. Please explore this sight and recommend friends to visit VibraSONmusic.com for bookings of our band. For a full listing of our gigs, Please see our CALENDAR page. 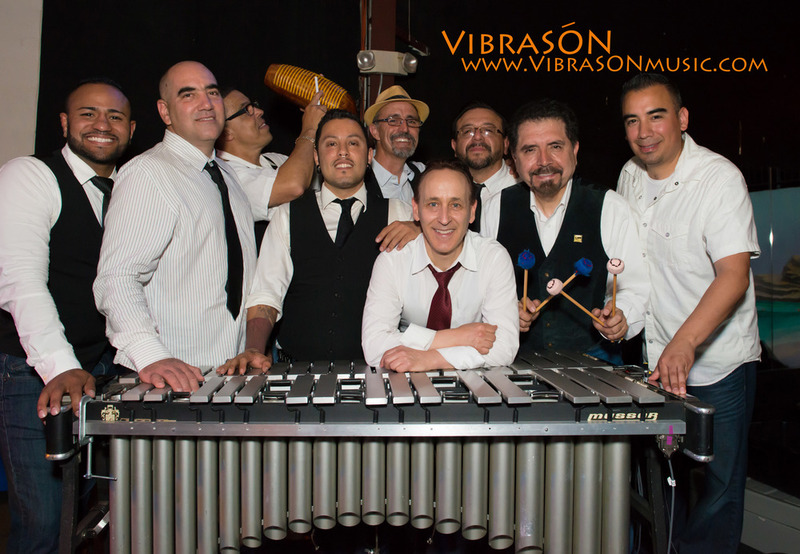 Check out Latin Vibe Tuesdays every week in SF w/VibraSON LIVE! VibraSON is loving Bar Fluxus in San Francisco every Tuesday for our Latin Vibe Tuesdays event! - see Calendar for more info too or CLICK HERE for the LVT page... Bar Fluxus was awarded BEST NEW BAR in SF 2017 by SFWeekly Magazine too. It's a great venue! April 26, 2019 - We return to Cascal, Mountain View, CA on Friday April 26. Catch Conjunto VibraSON at Trader Vic’s Lounge, Emeryville, CA on April 6, May 4 (Cinco de Mayo weekend Party!) and June 8. 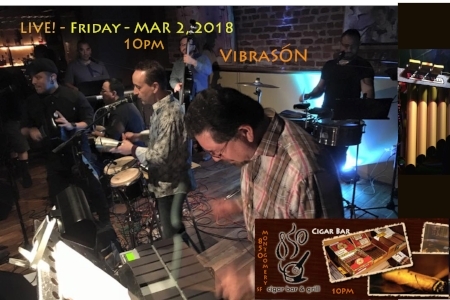 VibraSON appears at Cigar Bar, San Francisco on 23 March, 2019 at 10pm. Dance floor open! Conjunto VibraSON at Trader Vic’s Emeryville lounge - Dec 8, 2018 - FREE admission and great food/drinks! VibraSON LIVE at the Mambo Nova Holiday Social in San Jose, CA - Dec 15! DEBUT PERFORMANCE at the beautiful Silo's in downtown Napa - Sept 27, 2018. 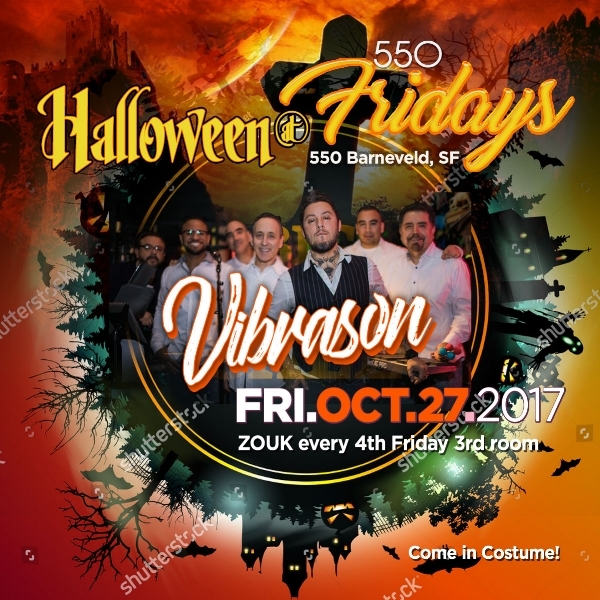 VibraSON returns to Dance Fridays/550 Fridays in San Francisco on 13 July 2018 - biggest dance party in town. 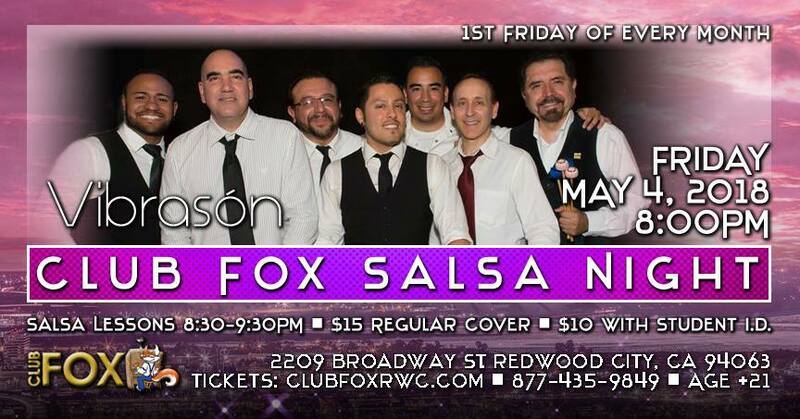 VibraSON returns to the always fun Club Fox in Redwood City, CA on 4 May 2018 for a pre-Cinco de Mayo party. Join us on HALLOWEEN night - Oct 31 - for a special Latin VIbe Tuesdays in San Francisco! Upcoming shows in March/April. Note also that Conjunto VibraSON plays at Trader Vic's Lounge in Emeryville, CA on 8 April, 7-10:30pm!